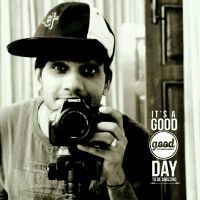 Looks like Google search now even measures your internet connection speed to improve your search experience. 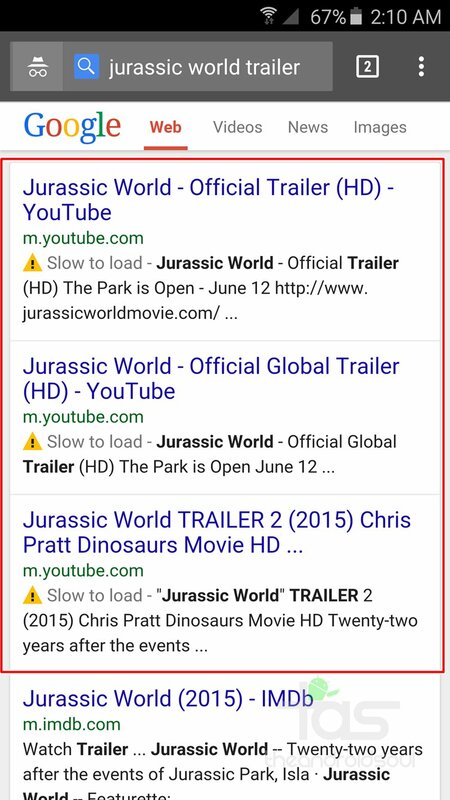 My internet was just acting sloppy, and I was searching for “jurassic park world trailor”, and there Google showed a “Slow to load” exclamation to all results with video content. 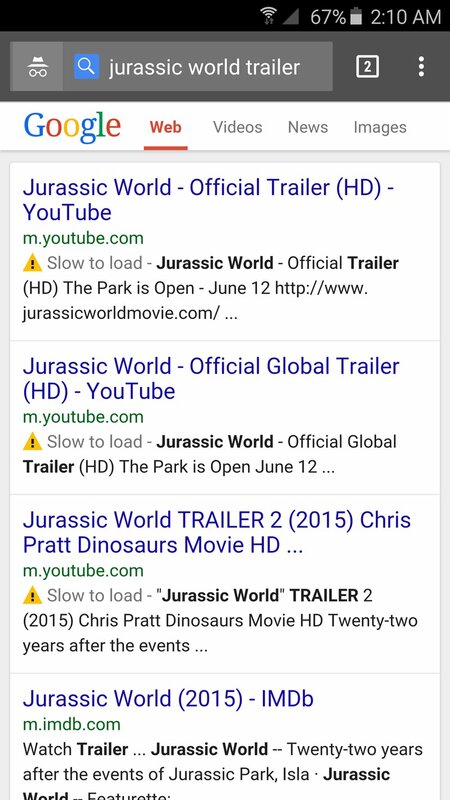 So next time when you’ve a slow internet connection on your mobile device, Google will be kind to tell you right on the search results page that you’re less likely to be able to view video search results with that “Slow to load” note. Pretty cool!